This manual is the second in the diagnostic imaging series. It begins by providing the reader with a grounding in the various imaging modalities: radiography, ultrasonography, computed tomography, magnetic resonance imaging, nuclear medicine and interventional radiological procedures. The second section is devoted to the individual body systems and includes chapters dedicated to the heart and major vessels, the lungs, the mediastinum, the pleural space and the thoracic boundaries. To aid the reader with information retrieval, each anatomical region is approached in the following way: radiographic anatomy and variations; interpretive principles; and diseases. Information on diseases is further subdivided into sections covering radiographic findings and the results and interpretation of other imaging studies. 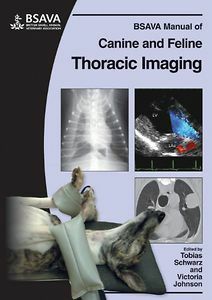 Each of the chapters is accompanied by a wealth of images, demonstrating both the normal radiographic appearance of structures and the abnormalities associated with disease. Specially commissioned illustrations provide an extra dimension.